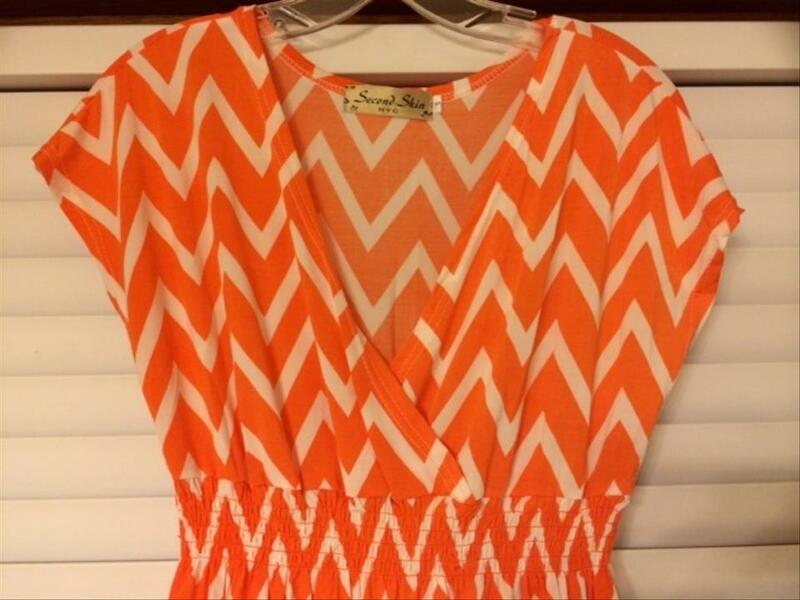 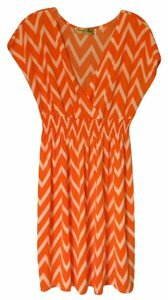 Super cute orange and white Chevron print dress that has never been worn. V-neck with wrap-around look, synched high-waist and just enough sleeve to cover your shoulders. 95% Polyester and 5% Spandex. 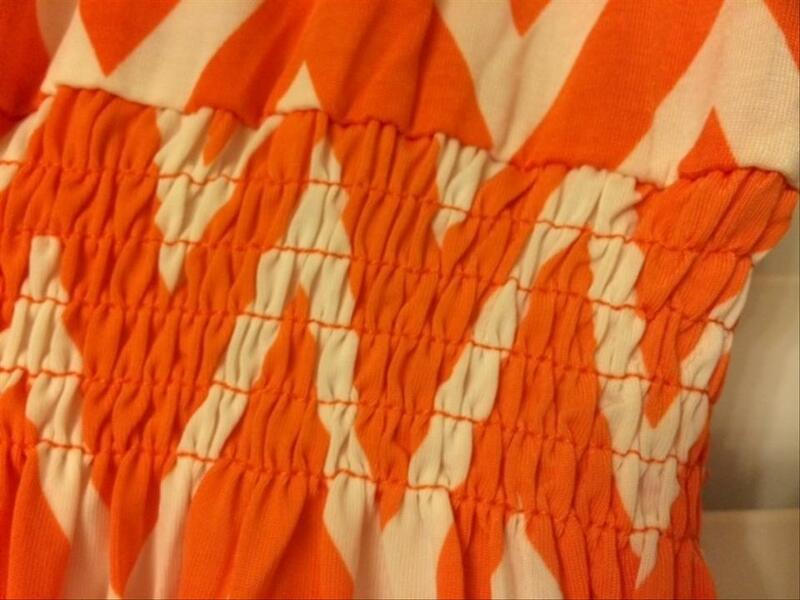 Approx measurements: Waist band 12" unstretched and will stretch to 22". Shoulder seam to bottom of synched waist 15". 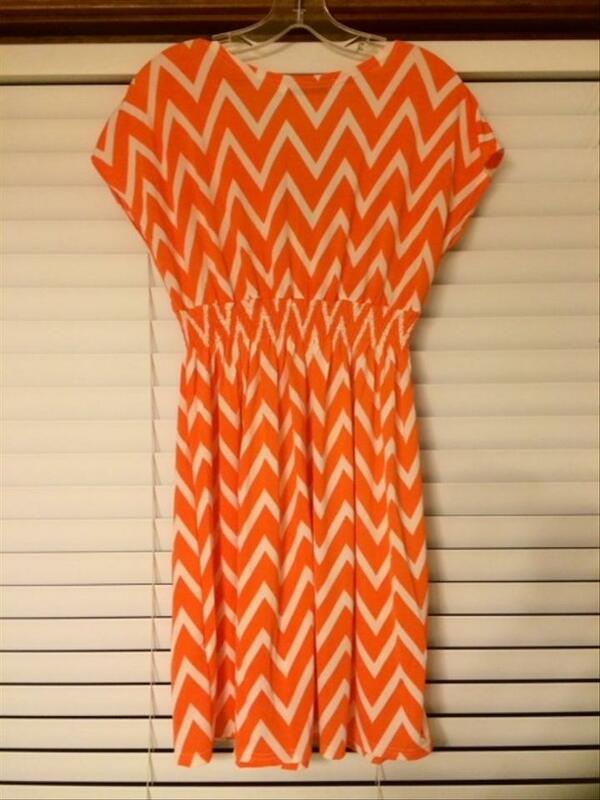 Bottom of synched waist to hem line 20 1/2". 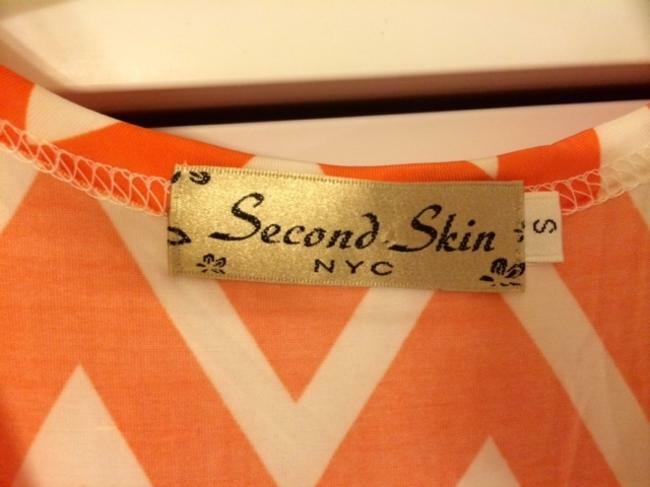 Synched waist band 2". Thanks for looking and please contact me with any questions or additional pictures.